This lake is about thirty miles east of Medicine Hat. It used to be quiet and a nice place to visit. Lots of folks from town had a summer house there and one family we knew did. They were called "Tyler" and they had three children our age. We were all invited to spend a weekend with them, so Mr. Tyler took our family out in his car. It was a bit crowded with seven in it, but it was fun. It was an open touring car, and we whizzed along to the lake. The grasshoppers were bad that year, and they were flying in and out of the car. Poor Mary was in a state, as she was scared of the things. 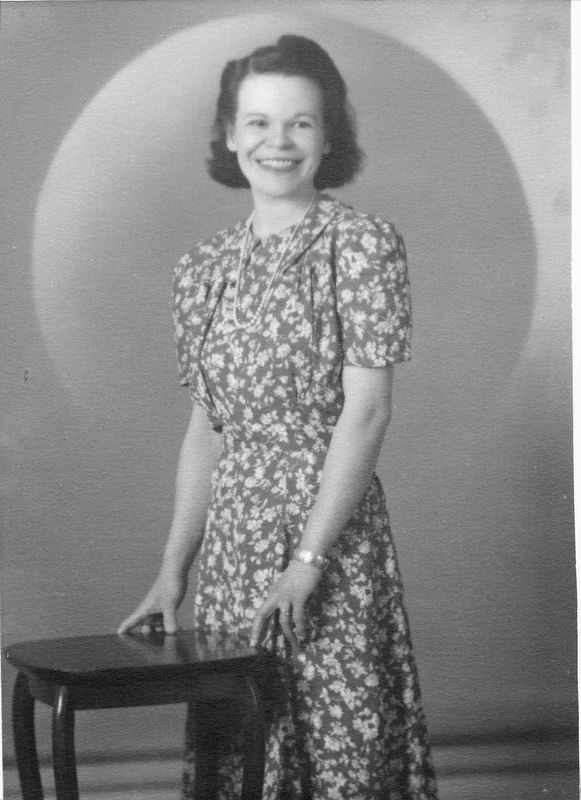 But we got to the lake and joined the rest of the Tylers, Mrs., Fred, Elsie, Vera, and Grace. Oh! They had four kids, not three. Four things stand out in my mind and they were mice, berries, sleeping four in a bed, and Mary falling in the lake while trying to get into a row boat. She was soaked and scared. The mice came out of the wood box (it was a wood burning stove) at night, and ran all over us. As we slept four in a bed on the floor, on a spare mattress, it was fun but crowded. Grace and I were the same age, so paired off, and went picking berries. I remember we didn't have anything to put them in but our pockets. My dress had V shaped ones, and when we got back, I had a purple stream of juice from each pocket. Grace was wet too. Mom wasn't too please as I only had one dress with me. Most people, women especially, would shriek at the thought of mice running across their bodies at night, but I experienced this, too. I was staying at Storm Mountain Lodge, a collection of rustic log cabins in Banff National Park in 1971, very charming but full of mice, which scampered about the cabin at night with impunity, even racing across the bed. Believe it or not, I got used to it. 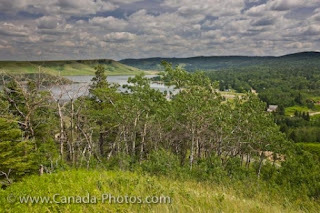 The lake is part of Cypress Hills Provincial Park, which features boating, swimming, hiking, bicycle trails, and has a Lodge, for which I've created a link so you, dear readers, can see what it looks like today. 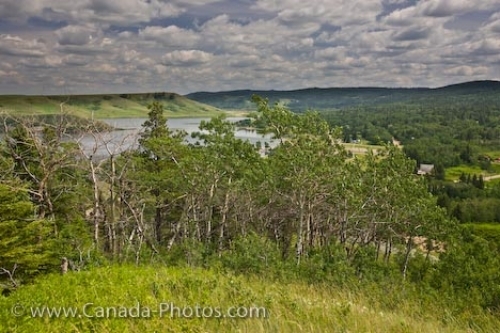 Cypress Hills is an oasis of hills and trees on the otherwise flat prairie.